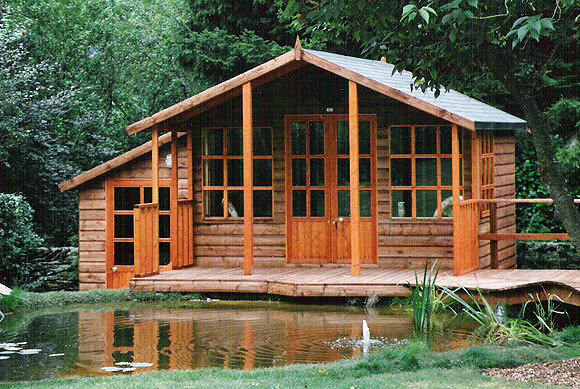 The Carolina Summerhouse is designed to use all year round, as extra accommodation when guests arrive or as an office/hobby room. The accommodation part is insulated with ‘Kingspan’ or equivalent insulation in the walls, floor and ceiling. Internal walls and ceiling are lined with redwood T&G boards. The building is constructed with treated Redwood then finished off with a four coat stain or paint system in a colour of your choice before delivery. The roof is covered with felt slates as standard. Cedar Shingles can be provided as an optional extra. A 4’ deep covered verandah gives extra outside space with protection from the elements. We provide a choice of window designs and furniture. Toughened safety glass is used throughout. Two opening windows are supplied as standard, the rest will be fixed. The size stated is for the accommodation part of the building. The 4ft verandah is an additional measurement but all included in the price! 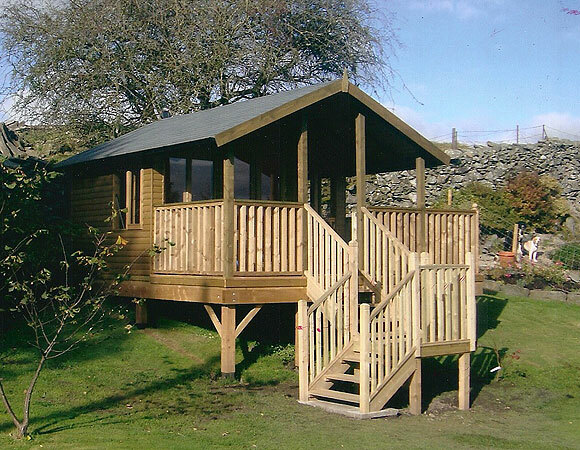 We make buildings to any size, not just the standard sizes stated in the price list. Please ask for a free site visit to discuss your requirements. All prices valid until 00.00.19 – All prices include delivery, erecting and VAT.